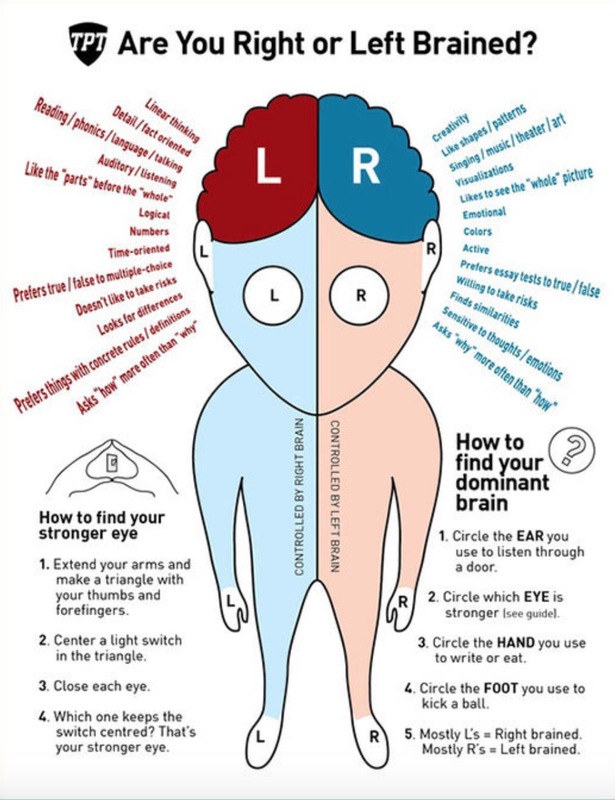 Left Vs Right Brain is a hotly debated topic, but which side do you use most often? And how does each side affect your personality? We’ve got all the answers below. Are you a lefty or a righty? We’re not talking about hands here, we’re talking about Left Vs Right Brain. 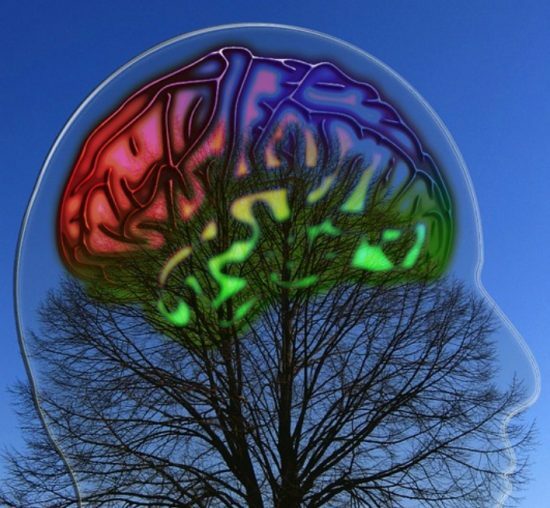 There are 2 sides of the brain that perform different functions. One side is analytical, methodical, always on time and the other is your more creative, impulsive and artistic side. It makes for interesting reading and can give you some great insights into who you really are. For many, it will explain a lot! The above flow chart from Hubspot is a great place to start. Both sides of your brain are connected but each side controls different parts of your body and thinking processes. No matter which side you use, it’s important to use both every day. This infographic from Online College explains how each side of the brain works, and how they affect behavior and personalities. For example, someone who is left-side dominant is likely be an A-type personality.These people love order, having their days mapped out and their feelings in check. Right-side thinkers tend to be more impulsive and emotional. Whatever side of your brain you tend to favor, it’s important to try to balance both sides as much as possible. This way you benefit from creativity and logic, both facts and feelings. Being sure to “work out” both sides of your brain every day can also reduce the chances of developing Alzheimer’s later in life, according to the Alzheimer’s Association. 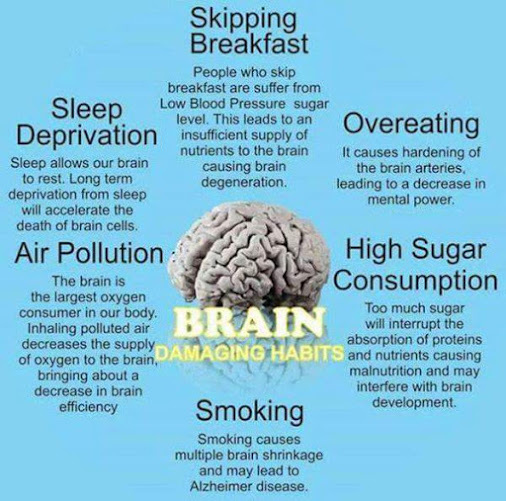 We found these helpful brain damaging habits on Guys and Good Health and the author Tony has listed smoking, skipping breakfast, air pollution, high sugar consumption, overeating and sleep deprivation as big hitters. Now, let’s move on to some things that you can do everyday to improve your left and right brain. Try some challenging puzzles every day. A crossword, sudoku, or an app like Luminosity will get the logic side of your brain going. Make time to read or write every day. This can be a novel, newspaper or a favorite blog for reading. For writing you can keep a journal, a blog or even write a letter. Bonus points for putting pen to paper and writing the old-fashioned way. Pick up a hobby that requires you to use your hands. Knitting, crocheting, sewing, and other needlecrafts are all great choices, as well as gardening, scrapbooking or cake decorating. Anything that gets your hands and brain working together, and requires learning some new skills. Get outside! Just a simple stroll around the block every day can get your creative juices flowing. Tune out. When you’re doing things around the house, or just sitting down for a few minutes, turn the screens off. Let your mind wander and your iagination soar. Surround yourself with people who make you laugh and keep you upbeat. Even if you just see them once ina while, it’s enough to keep your happy side energized. Get creative! Try a great adult coloring book, a DIY home decor project, or sketch the sunset. Trying something creative at least once per week can help you be more creative in other areas of your life as well. Once you know which side is more dominant in your personality, you can exercise your ‘weaker’ side every day. Once you start using both sides, you’ll see how much more focused and clear your mind can be. We have included this quick video quiz from Buzzfeed which will help you work out which side you favor. It includes a few quick questions and they can all be done sitting down.